As you know, Lonesome Primary School aims to be a school where every aspect of a child is focused on and developed, including how they feel about themselves, their learning and their future. We want all of our pupils to develop as happy and confident people who can express their views clearly and thoughtfully. To support this, we are working towards recognition as a “Rights Respecting School”. 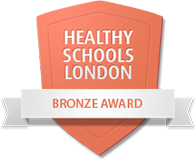 This is an award which is given to schools on behalf of UNICEF. All children have the right to privacy. We really hope that you will feel able to support us and your child in working towards our goal of being a ‘Rights Respecting School’. If you would like more information or if you would like to work as a parent/carer member of our ‘Rights Committee’ please come in and talk to Mrs Hudson. Please look in the school foyer for more information about being a Rights Respecting School. The Lonesome charter, which has been written by all the children in the school and the adults who work there, is also on display in the foyer. 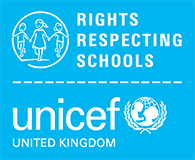 You will find information about Lonesome working towards being a UNICEF Rights Respecting School here.